Indietracks is one of the few non-profit music festivals still operating in the UK right now. Situated on the site of the Midland Railway Heritage Centre at Butterley in the Derbyshire countryside, it first opened its doors in 2007. Now, in its eleventh year with the 2018 edition set to run from Friday 27th to Sunday 29th July, it's become an essential part of the calendar for anyone with any interest in indie-pop. Past headliners have included The Wedding Present, Camera Obscura and Edwyn Collins and this year's event includes British Sea Power, Gwenno and Honeyblood among a host of impressive names from the world of indie-pop and its associated sub-genres. DiS caught up with Natalie Hudson whose responsibilities include booking the bands and dealing with all aspects of promotion to talk about what goes into organising and putting together a festival like Indietracks. DiS: How did you first become involved with Indietracks? Natalie Hudson: It was set up by a guy called Stuart Mackay who used to work for the Midland Railway. His job was to restore the trains. He's a massive indie-pop fan that goes to gigs all over the country and he saw potential there for the railway to become a venue hosting indie-pop events. So he did a one-night event back in April 2007 which did really well, then decided to turn it into a weekend festival in July of that year, more as a tester to see how it would go. He needed someone to help him with the organisation and promotion so I became involved through the friend of a friend. My friend Emma (Hall) was already helping him out with the website, so I started helping with promotion in 2008. I then started doing the bookings and it's grown from there. The festival has grown from one day to a full weekend event yet the site and capacity has remained the same (1500) throughout. Has it been difficult to sustain the festival without any real opportunities for growth? It's all down to the railway really. They're the ones who put up the money for the festival that enables us to book the bigger bands. They've had faith in us from day one and it does generate a profit for the railway; all the money goes back to them. We're all doing it for free. No one makes any profit from the festival apart from the railway which is a charity. Every year they trust us to do something a bit new. For example, in 2009 they gave us a bit more money which meant we could get a proper outdoor stage. That went really well so they've allowed us to keep the stage since then which is brilliant for the festival. We couldn't do it without them. It was their venture from the start. Would you ever consider moving the event somewhere else if it meant the festival could grow? We've been asked that question a number of times over the years because the festival can't physically get any bigger on that site. But then for us, the site, the trains, the people who work there and the community are an important part of the festival. So I don't think it would work as well if we moved it somewhere else. The railway are happy with the money we generate and raise for them. We're very happy with how the festival runs. We have lots of people coming back every year. So why try and change something that already works really well? Instead, we'd rather focus on making the festival better every year, whether it's just the little touches like planning activities for families and children or improving the technical side. We do make refinements every year but there are no plans to move to another site. We're very happy with the site as it stands. We always exchange ideas by text and What's App on the way home from the festival! We usually take a month off then from October we start inviting applications and that's when we also start to think about headliners. So we normally approach possible headline acts before Christmas and then started booking them in January with the intention being to have everything booked by March. This year's line up is particularly impressive, with internationally acclaimed acts like British Sea Power, Amber Arcades, and Gwenno among the bill. Was it difficult persuading acts who are used to playing bigger events to come to Indietracks? Not really. We've dealt with big booking agents since way back when. For example Teenage Fanclub and Saint Etienne are two past headliners that had established booking agents and we deal with everybody the same way. Whether it's a band that's just started up from Sheffield playing their first festival or a band that's been around for decades, we don't treat anyone differently. I think we're lucky that people respect what we're doing with the festival, so if we need to get bigger bands, we've never really encountered any problems when it's come to booking them. We just want to put together the best festival we can so do whatever we can to make that happen. Indietracks clashes with a number of established events every year - Y Not, Kendal Calling and Tramlines being three that spring to mind. Who do you consider as your main rivals on the festival circuit? Obviously, those other festivals are happening at the same time and Y Not and Tramlines are pretty local, but because we're quite niche in what we do I wouldn't say there's anyone we're directly competing with. We wouldn't ever call anyone a rival anyway. All of the festivals happening the same weekend as ours are very different in terms of the bands they book, so therefore attract a different audience to ours, whereas we feel like we're part of a community with other indie-pop festivals. I wouldn't consider any of those as rivals. We promote and support each other's events, book each other's bands and attend each other's gigs whenever we possibly can. So I'd class Indietracks as being part of the same community as things like Madrid Popfest, Paris Popfest, and Wales Goes Pop. We're not trying to compete with anybody - we just want to put on the best festival we possibly can for people that like indie-pop. One thing that Indietracks always achieves is a diverse bill that's all inclusive of gender and race, which again sets it apart from many other festivals and is why the PRS Keychange initiative has been launched. Is that something you've always been conscious of? We've always been consciously aware of Indietracks being as diverse as it can be. Whether it's gender, ethnicity, or all characteristics, we want it to be as diverse as possible. But I think it's just come naturally to us who we're representing. We've had women involved from the outset and a lot of the promoters, bands, and record labels we work with have women in them. It's just something that's been ever-present within this scene, certainly as far back as I can remember anyway. We are conscious of it but it isn't something we've ever had to worry about. We're just reflecting what's happening within the scene. It's great to see so many female musicians and promoters at our festival. What's the biggest obstacle you've had to overcome since you've been working on the festival? In the early days, we were very conscious of the finance side. I guess it was the railway who were taking a risk and not us, but we still had to find a balance between investing in the festival and generating income for the charity so it took a few years to get that right. From a personal point of view, there are a lot more avenues to promote the event now, especially since the advent of social media, so managing the admin side has become much bigger, whether it's promoting the event, booking all the bands, or just looking after what goes on at the railway. It's been a steep learning curve but now I think we've got it down to a fine art. I'm sure if you were to ask someone from the railway the same question they'd come up with something more technical; like, if something goes wrong with the infrastructure of the festival they have to sort it out, not us - we don't have to deal with local councils or anything like that. For us it's more about booking the bands, so it's not quite on the same level. Every year we always feel really proud of what we've done. I think just being able to stage a great event that raises so much money for charity is something to be proud of. 2009, when we got the outdoor stage, was a defining moment; it felt like we'd finally found the missing piece of the jigsaw in getting that big stage outdoors. Also the year we raised money for Sarcoma UK in memory of Carey Lander from Camera Obscura as well. The lovely feedback we get every year from returning faces who've been coming since the early days of the festival and people who've just had a great time and can't wait to come back - that makes me really proud too. I think we've got a nice mix now of regular visitors and people that just want to see the bands. Indietracks has remained one of the few non-profit related festivals in the UK. Would you ever consider sponsorship or any kind of corporate backing in the future? I don't think that's anything we'd want to do. It would spoil the festival and I don't think I'm alone in saying this. One of the things people cherish about Indietracks is the lack of big corporate sponsors. It's an escape from all that, so I can't ever see us going down that route to be honest. If you're really passionate something - whether that's a certain genre of music or bands you like listening to - then go for it! I think that's the key to success. If you're passionate about it then the chances are other people will be too. Also, I can't underestimate the importance of having a community. That's always been a key point for us. It's not just about our little team that does the booking; it's about the people at the railway, people that set up record labels, people that write fanzines and blogs, promoters, everybody that plays a part in the festival. So if you're going to set up a festival my first piece of advice would be find your community. It's really important because you won't be able to sustain it on your own. What are Indietracks' plans for the future? Are there any major changes in the pipeline? I don't know! I'd like to think Standard Fare might reform at some point so we can put them on again. If you could pick three headliners past or present for your dream festival line up who would it be and why? I'd definitely have The Go! Team. I thought they were fantastic headliners in 2015. Bjork would be amazing too. Then probably Gorky's Zygotic Mynci to close it on the final day. 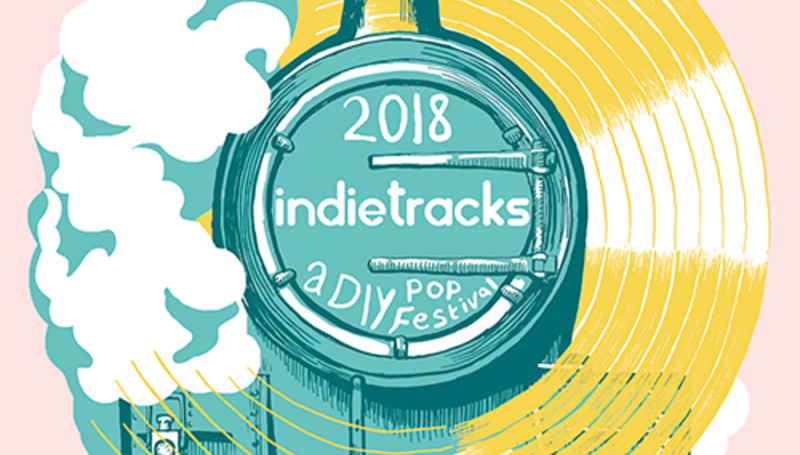 For more information on Indietracks including the lineup, schedule, and where to purchase tickets, please visit their official website.